First, super big hugs to everyone because yesterday was a tough day. My heart goes out to all those in Boston, and to every hurting soul on the planet. Evil doesn’t win. It Can’t. It won’t. I had a huge giveaway planned for today but I didn't think it was appropriate so I’m going to move it quite possibly until next Tuesday. I’ll also have some big book news to share in a few days, so I might just couple it with that. The giveaway will happen. I have to thank you for your impossible kindness which has translated in my ability to land in places like this: Publisher’s Weekly (The Bestselling Books of 2013 January-March). So BIG thank you. 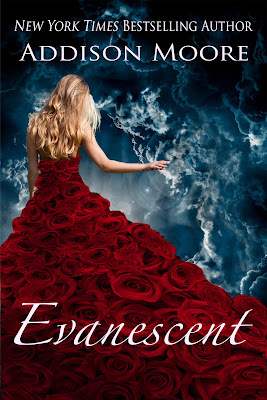 EVANESCENT is out! I wish happy reading to all who are reading it. I really hope you enjoy hearing from Laken, Coop, and Wes. To those of you who received the newsletter, I hope you had fun with it! I got a letter from “mail chimp” (my newsletter carrier) threating to suspend my account for illicit drafts. What's this? Passing illegal notes? Threats of suspension? Why, it’s just like high school! For me, anyway. Anyhoo, the newsletter lives to see another day. For now. On to the teasers. Since I’m just "teasing" the one book, and it’s been a tough week, I thought I’d give you two ELYSIAN teasers—and they're long! I might tease a new book starting next week. ELYSIAN feels a little lonely down there. 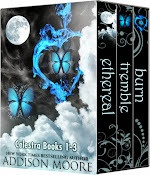 ELYSIAN (Celestra Series Book 8) The Final book in the young adult series. *(Skyla and Logan observing Ezrina's dealings in the lab) And, it might sound spoilery, but I promise it's not! I startle at what those twisted cords are connected to and all thoughts, all memory of autonomic responses leave my body as I forget to breathe. Chloe Bishop lies in the stainless casket next door. Her face pale as snow, her lips a muted shade of navy. Her unpolished fingernails have turned black at the base. This is a dream within a dream—Chloe Bishop captured and drained for a noble purpose like piecing Ellis Harrison back together again. Chloe the white witch lies with her granular appearance, ashen as table salt. She looks marvelously dazed, her eyes crossing ever so slightly as she labors to breathe. “Sky—la,” she stutters out my name while locked in her death throes. It’s such a beautiful sight, I’d whip out my cell and take a picture, but I don’t want to miss a second of the action. Watching Chloe die has been my heart’s desire for some time now. “I’m here for you, Chloe.” I try to hide my blooming elation. “Go to the light.” But in Chloe’s case, it’s most likely the dark. The pipes squeal and twist as the water shuts off, and a moment later Gage steps out in a vat of steam with nothing but a towel wrapped around his waist. “All dressed up and nowhere to go?” I tease, propping myself on my elbow to afford a better look. Gage is cut to precision with abs that ripple, strong as steel. “Oh, I’ve got somewhere to go,” he says it low, most definitely seductive and a mild panic surges in me. Gage swoops in and lands beside me on the bed with dew from the shower still beading over his chest. He beams a wicked smile that lets me know it’s game on and Logan had better watch his pretty boy back. Gage is in it to win it, and I’m not sure how much fortitude I have to stave either one of them off. I’ll keep you up to date on the giveaway and the big news! Awesome teasers. I can't wait for the finally of celestra. Logan is still top of my list. Guess we have to wait and see. Have a wonderful week. DUDE IM DYING!!! !cant wait for elysian!release date? Oh my goodness, I am dying too! 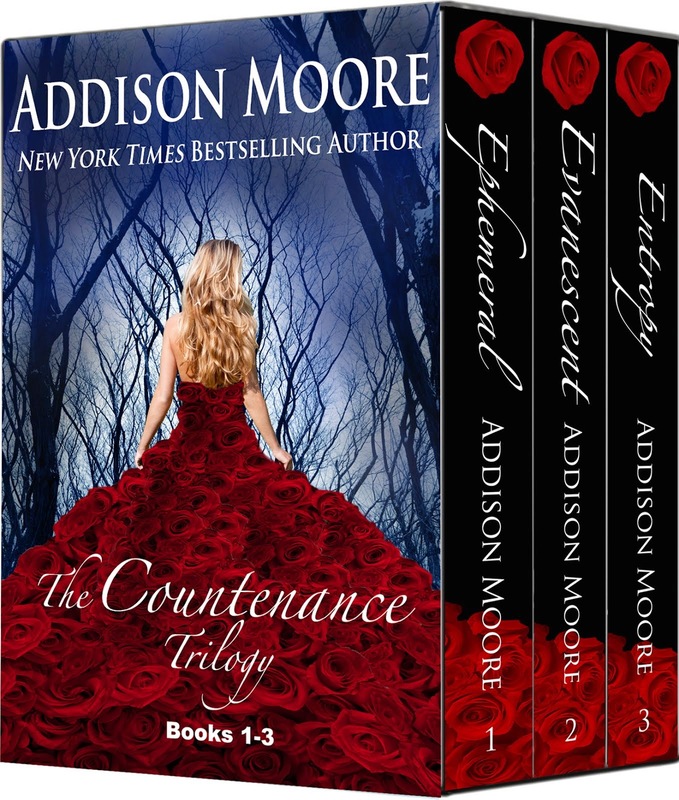 I finished Evanescent and am counting down the seconds to Elysian!!! I am SO wrapped up in Skyla and Laken's lives! I don't know what I'm going to do when the stories conclude :-( Promise you'll never stop writing!!! I love your Tuesday Teasers. I finished Evanescent over the weekend. It was great. I love how you leave your readers wanting more. Looking forward to reading Elysian when it comes out. heather peiffer - So can Skyla!!! ;) I love seeing your smiling face. Thanks for the support girl! Melissa Saneholtz - Melissa! I'm so glad you're enjoying the teasers! I have fun picking them out. And YAY for enjoying EVANESCENT! I had way too much fun in that book. I think I'm getting addicted to that male POV! Lol about the hormones. I've so been there. And still, I can cry at the drop of a hat. kcasanova88 - Logan hopes he's still at the top of Skyla's list too! And he appreciates the support! I hope you'll enjoy the final book! skyla - Please don't die, lol! It should be about another month. I need a few more weeks then my editor and betas get it. I'm hoping it'll move quicker but it's the longest book. I'm hoping you'll enjoy the length! MM2011 - It secretly thrills me that you're wrapped up in Laken and Skyla's lives. I am, too. ;) Can't wait to share more of both their journeys with you!!!! Loved Evanescent, but of course I knew I would !!!! The cliff hanger is killing me (xoxo to Cooper)....bitter sweet to hear the last book is around the corner. Thank You for sharing this world with us!!!! I cant wait for this book it is killing me...When is this book coming out bc I need/hope she ends up with gage.. The suspense of waiting for Elysian is killing me. Lol can't wait for it! "piecing Ellis Harrison back together"?! Oh no =( I've carved out a little piece of my heart just for Ellis in this series (don't tell Marshall lol), so I hope that teaser doesn't mean Ellis is headed to his harem of love honeys in the sky just yet lol. Belinda Crawford - Yay! I love that you luved it. ;) I'll try to put out ENTOPY much sooner than I had it slatted so I can bring you the end to that series as well. 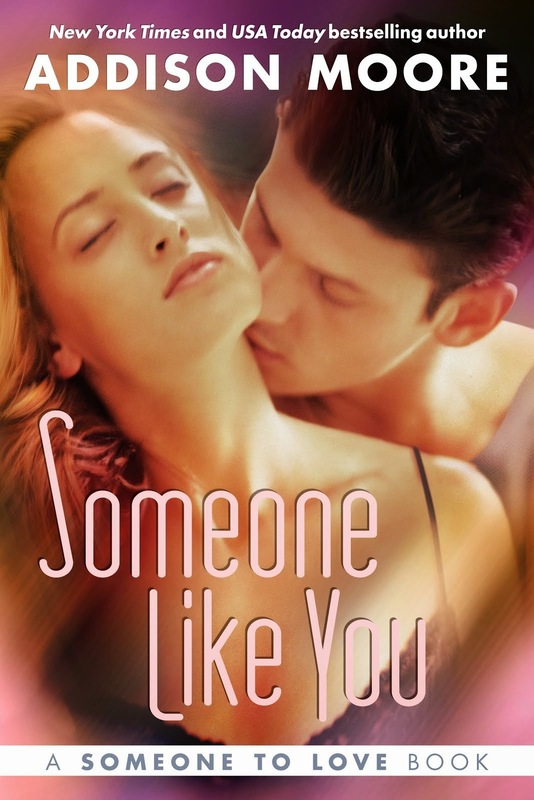 And I hope you'll like who Laken chooses! Nancy Rodriguez - Hi Nancy! The edits for ELYSIAN are going so well!!! I'm on schedule to send my editor and betas the first half of the book this friday. That way I don't have to give it to them all at once and we're that much closer to getting it to you!!! Brittany Glascoe - I so, so, so can't wait to get this to you!!!! It feels kind of final but there will be more Paragon, although different, in Skyla's new series. Miss Sorrows - Oh, I love Logan, too!!! I try not to give away too much in the teasers but there's plenty of Logan in ELYSIAN, I promise!!! :) I'll try and find a Logan based one that doesn't give away too much in the coming weeks. Thank you for reading! Celestra on the IF List! 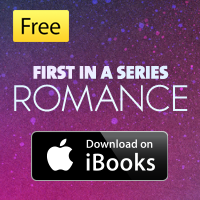 FREE first in a series! New York Times, USA Today, and Wall Street Journal bestselling author. Lover of all things chocolate. Writes both traditional and paranormal romance. Often fueled by Dr. Pepper. 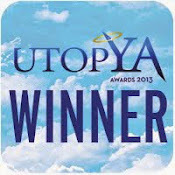 *Represented by Rachelle Gardner of Books and Such Literary Agency. 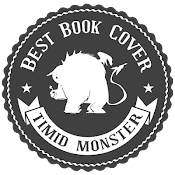 Tuesday Tease + cover reveal~! Amazon affiliate links in use on this site.